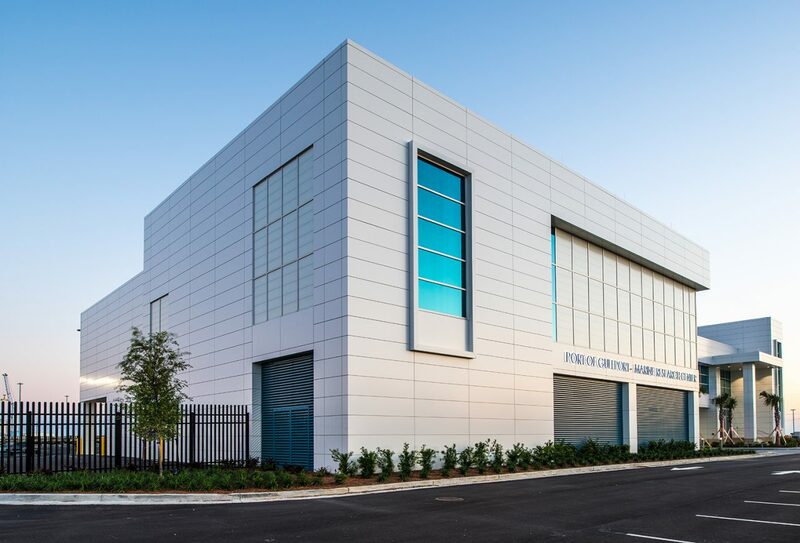 University of Southern Mississippi Marine Research Facility | Wharton Smith, Inc. 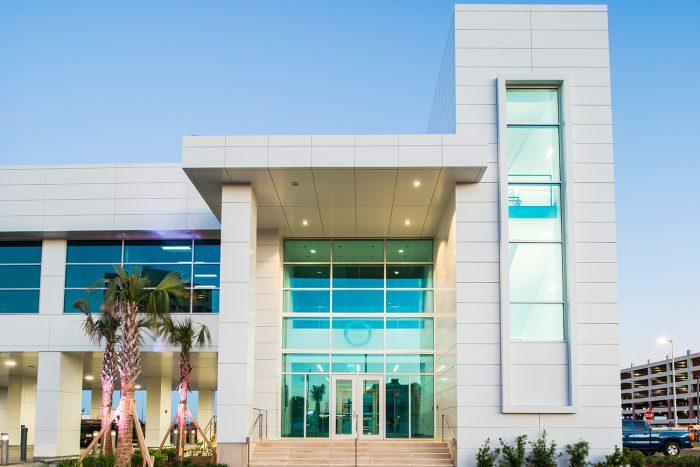 Located at the Port of Gulfport, the new two-story Marine Research Center serves as the principal marine operations and support facility for the University of Southern Mississippi’s oceanographic research efforts. 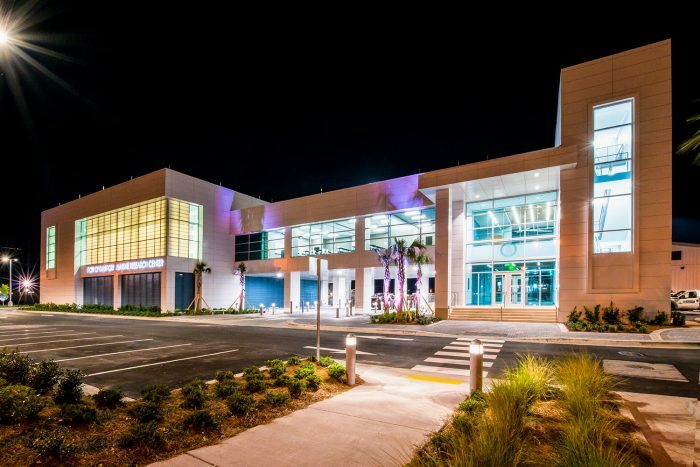 The 18,000-square-foot building includes administrative offices, classrooms, laboratories and storage areas. 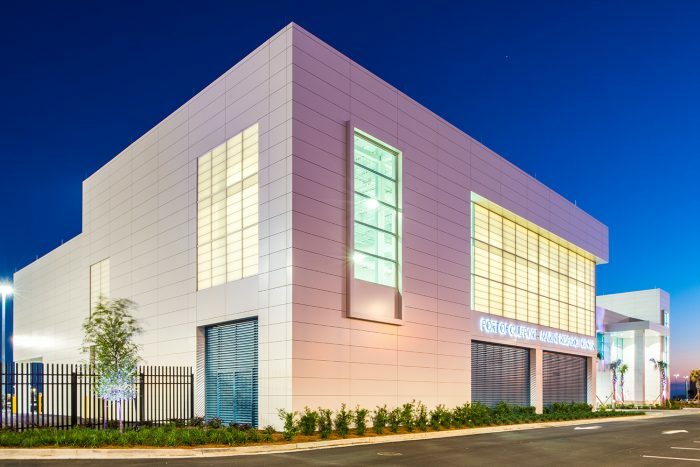 The facility’s unique design serves to enhance and beautify the industrial “front door” of the Port. 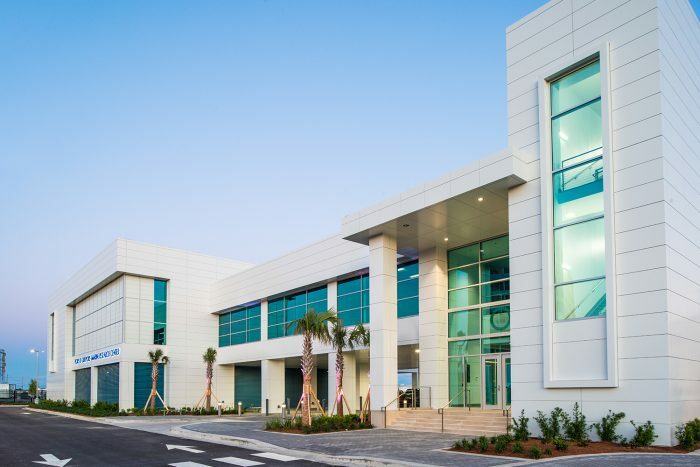 The project is constructed of poured in place concrete columns, structural steel columns, bar joists and metal decking with a concrete slab. The exterior facade is ACM panels and window wall systems. 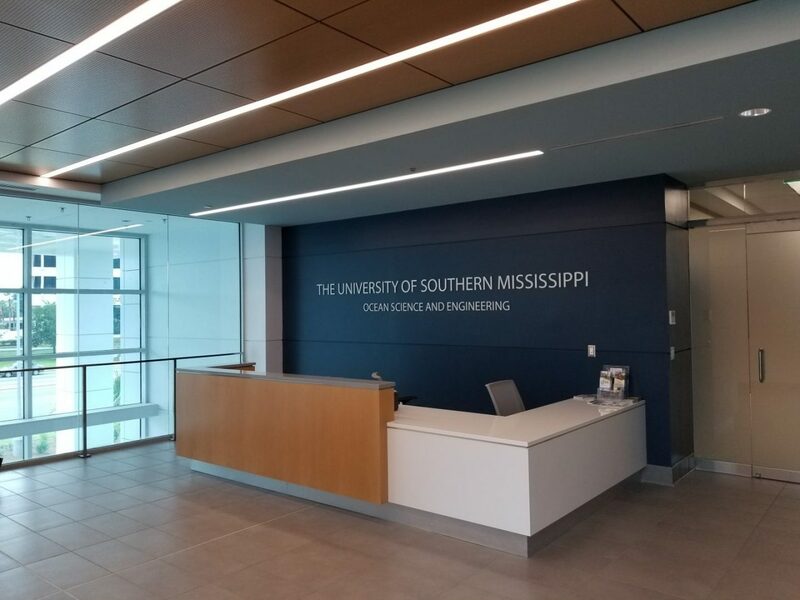 Construction was complete in April 2018.